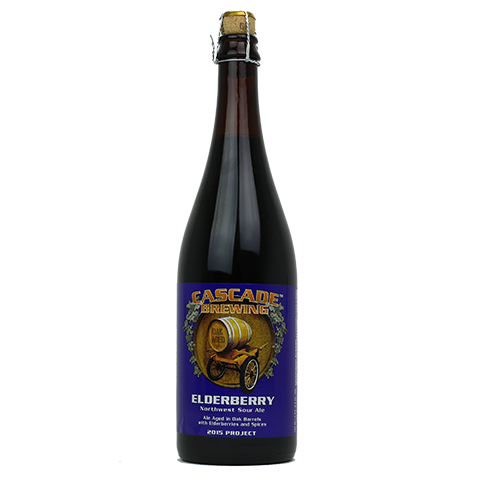 This live barrel of NW style sour red ale was initially aged for six months in French oak wine barrels, then additionally aged on elderberries. Sharp wine, dark raisins, red grapes and cereal notes greet you on the nose. Tart dark fruit and grapes on the palate lead to a sparkling crisp dry finish with hints of fresh elderberries and grape skins.